« We will remember them…. I am now two thirds of the way through my three exhibitions in three, back to back, weekends marathon. The second of the three shows last weekend was the Spalding show assisting Mike Wild and the Hornby Magazine team operate his layout Bolsover and Seven Pit Lane. 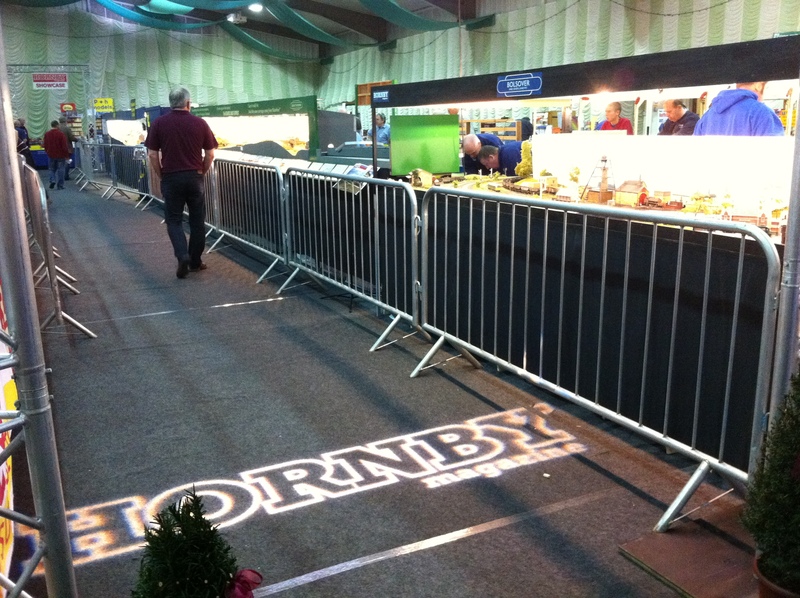 Bolsover and Seven Pit Lane on the right at the head of the Hornby Magazine showcase aisle. The Spalding show is a large provincial show and is certainly one of the best in the East of England. This year in particular saw an extremely high standard of layouts on show including the likes of Stoke Summit, Hassell Harbour Bridge, Penhallick and the extremely impressive Gresley Beat. This line up is good on its own before you add the entire Aisle of layouts that formed the Hornby Magazine showcase of layouts that have featured in the magazine including Treneglos, Romley Midland and New Haden Colliery. With another of Mike’s layouts Hettle having to be a last minute stand in it meant out team of operators were a little stretched. Bolsover and Seven Pit Lane is DCC controlled using the Hornby Railmaster system which I believe is a first for an exhibition layout, and included the beta testing of a hand held device version of the software. Mike has also amassed an impressive line of sound fitted locomotives that proved very popular with the visitors. The technology, and to a certainly extent physical parts of the layout too, seemed to work against us a little on the Saturday (the expression a bag of bolts springs to mind) although frustrating for us as operators we kept an intensive service of trains running and the viewing public would have been none the wiser. Things certainly settled down on the Sunday and therefore was a much more rewarding day all round. 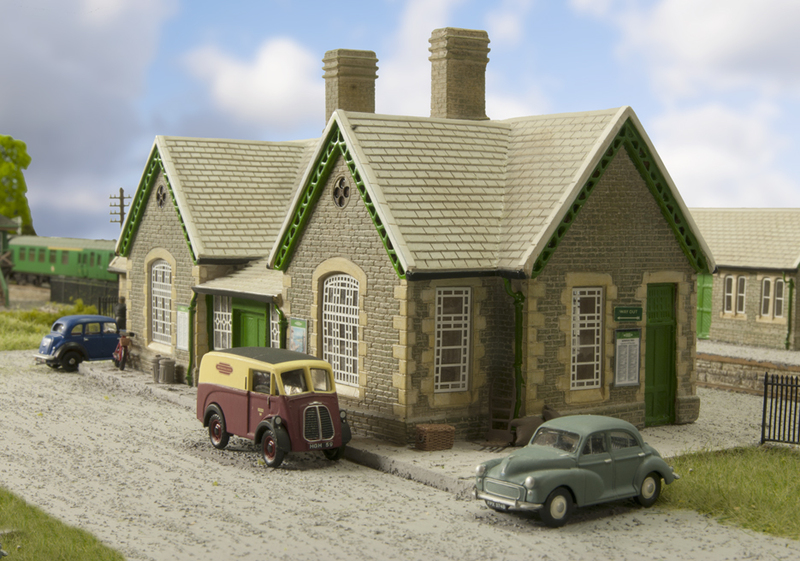 This coming weekend of course sees the final part of the trilogy; operating at the Warley National Model Railway Exhibition, Ashland. This is a layout built by in a weekend at the Hornby Magazine Live Hartlepool show last July by Mike Wild, Richard Proudman and myself. This will be forming part of the largest Hornby Magazine stand to date at the show. I am certainly looking forward to running my own Southern 1946 to1949 era stock on the layout on the Saturday whilst tome will move to the mid to late 1950’s on the Sunday with Mike’s own Southern Region stock. With over 16,000sq feet of space, 75 layouts and a zillion traders the Warley show can be quite an experience; this being the third year in a row that I have exhibited at the show, I was there two years ago with my own Fisherton Sarum layout, and last year with Hinton Parva from the High Wycombe and District MRS. I personally feel that it can be more fun to exhibit than to attend as a visitor and is seen as a ‘Marmite’ love or hate show by many. If you are thinking of coming alone and want to avoid the usual scrum area around some of the traders by all means come and say hello to us on Ashland.